A stacked wood base hold 3 twigs lashed together with leather bindings on this rustic twig table lamp. Then crowned with a hand painted pine cone lamp shade and twig finial. 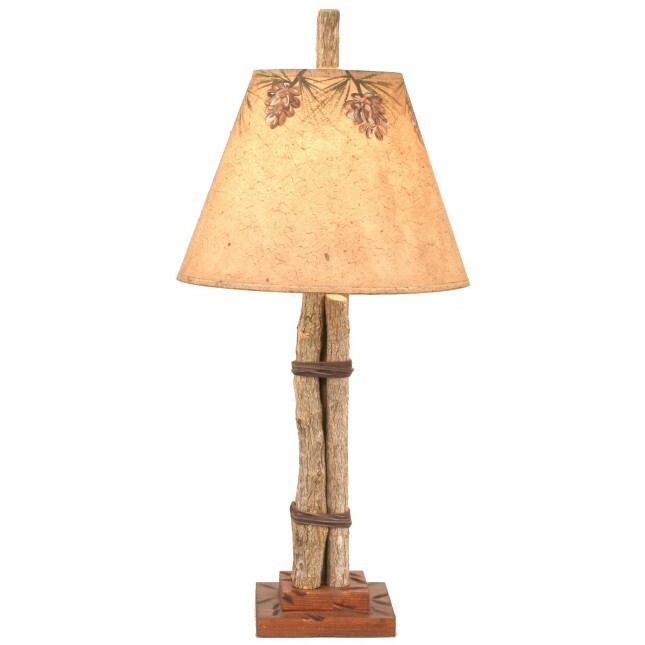 A stacked wood base holds 3 twigs lashed together with leather bindings on this rustic twig table lamp. Then crowned with a hand painted pine cone lamp shade and twig finial.